Life isn’t always a bed of roses; there are times when it brings grief and sorrow into our lives in the form of death of a loved one. When this happens, you try to come to terms with your loss, but you also have to start thinking about the funeral arrangements. This may also be the first time you have had to deal with a death in the family at such close quarters and may not even be sure about what you have to do and how the service has to be planned. You know that you have to inform the rest of your family members but you may not have an idea about what to do next. This is where Heavens Own comes into the picture. We provide very elegant, high grade, yet cheap funerals in Penrith and offer 24/7 services too. We handle everything from start to end and ensure that the entire service runs as planned. We know that dealing with this kind of a loss isn’t easy for you to handle and that is exactly why we take the burden or organising all the details about the funeral, off your shoulders. When you come to us with your requirement, you will find that our funeral director is very proactive with providing you the kind of services you need. He will work very closely with you to understand your specific requirements and the budget you are working on. 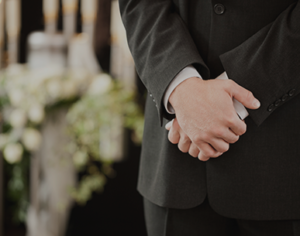 Our funeral director will assist you every step of the way and our staff ensures that the service moves along in a dignified and elegant manner. It is this attention to detail and the fact that we provide cheap funerals in Penrith that makes us one of the leading companies in the field. We have a very compassionate manner of a helping you deal with the situation and are very efficient and seamless in our approach. When you come to us for these services, you are able to take a breather and deal with your grief and spend some time with the rest of your relatives that have come to attend the funeral. 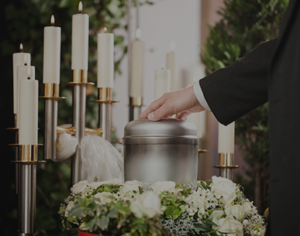 If you want to know more about our cheap funerals in Penrith services, you can contact us using this Web Form. On the other hand if you prefer to speak with us- you can call the Heavens Own funeral experts at this number- 02 9002 7344 and explain your requirement in detail.